From the time of the desert fathers to our own "post-Christian" age, the literature of monastic wisdom has provided inspiration for those of us who lead ordinary lives in the world. 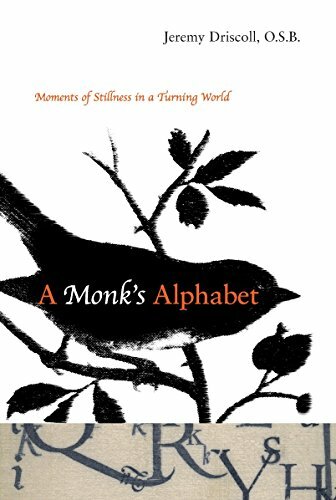 Father Jeremy Driscoll, a poet and theologian who is also a Benedictine monk, brings the genre into the twenty-first century with this exquisitely written collection of reflections on life from a monastic perspective. Whether reflecting on the details of the cloistered life, or observing the weirdness of American culture, explaining a fine point of Catholic theology to a child, or meditating on the flight of a seagull over the glittering ocean at sunrise, Fr. Jeremy's voice both enchants and provokes us to further contemplation. The 187 meditations are arranged by short titles in alphabetical order to emphasize that the reader should approach them in random fashion, without preconceived ideas, in order to be open to where they lead the heart and mind. Jeremy Driscoll, O.S.B., is a priest and monk of Mount Angel Abbey, St. Benedict, Oregon. He is a professor of theology at Mount Angel Seminary and at the Pontifical Athenaeum Sant' Anselmo in Rome. He is the author of several books of theology and poetry. YOUR SATISFACTION IS GUARANTEED! We deliver as promised and want you to be happy with your purchase. Note, that we are very responsive to customer inquiries and ship quickly, but the postal service isn't always so fast with media mail packages. If you MUST have your book[s] quickly, it's wise to use priority mail--especially if you're on the West Coast. If you have any concerns about your shipment, contact us: ysgsales@gmail.com. We ship every weekday. Most orders go out within 24 hours. Shipping costs are based on books weighing 2.2 LB, or 1 KG. If your book order is heavy or over-sized, we may contact you to let you know extra shipping is required.